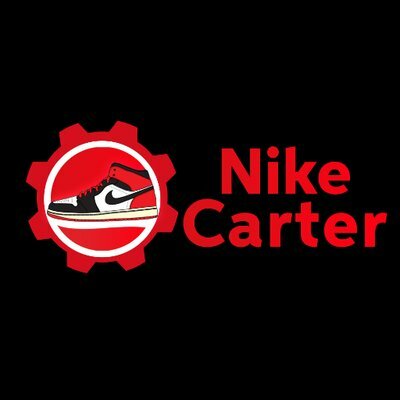 Nike Carter is a Nike SNKRS bot compatible with Windows only. Supports 8 regions: Great Britain, US, France, Germany, Austria, Italy, Estonia and Netherlands. It works for FLOW, LEO and DAN releases. NikeCarter is a Nike SNKRS Bot. Purchase is available, but limited for now. At the moment, only two copies of the application were available. To know more about the product, follow CarterBots Twitter. There you’ll find a video showing how the application works with multiple accounts. As you can see, 544 of 550 successfully entered the drop. The results come in few minutes, as soon as Nike gives them out so they don't appear all at once as Nike gives random times to return them. To setup tasks you can use excel or google sheets. This is so you can customize each and every task very easily and setup 700 tasks within five minutes. The bot uses whatever info you input into the excel file and doesn't use whatever address/name etc is on your accounts. If you started the bot, for example, the night before drop, it would wait for it to start and auto start the bot at drop time. Bot has a success file. Every successful accounts will have put there in email:password format.